"Each portrait is a film. I enjoy being the director… I feel the same passion and the same fear as when I started out... Photography and cinema are inseparable. I became a photographer because I wanted to make films. It’s the big dilemma of my life… I’m not a photographer, I’m a failed moviemaker." Xavier Lambours French Photo-reporter with an relentless curiosity, Xavier Lambours entered the VIVA agency in 1975, at the age of 20. In 1983, he covered the Cannes Film Festival for the French daily Libération and was instantly recognized as a great portraitist. He then joined the VU Agency and founded METIS, together with other promising photographers of his generation, in 1989. Later, he worked for the UNICEF, or the Vuitton Foundation; his works are exhibited all around the world. His international recognition has lead him to portrait the most famous stars of his times. 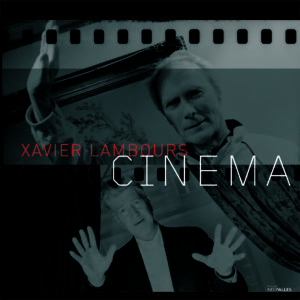 For more than twenty-five years, Xavier Lambours has portrayed those who made cinema a myth: actors (Robert De Niro, Clint Eastwood, Harvey Keitel, Sean Connery, Harrison Ford, Nicole Kidman, Liz Taylor), directors (Martin Scorsese, David Lynch, Orson Welles, François Truffaut, Wong Kar-Wai), screenwriters, cinematographers, set decorators; they all played the portrait game under the direction of this hugely talented eye.